Reliable real estate developer. Since 2011. We strive for the best results. "Altis-Development" is a Ukrainian management company in the field of construction and real estate. We focus on development of investment projects in the field of residential and commercial construction. Quality is our top priority. We employ an integrated approach. At the customer’s option, we deliver a partial or full set of developer services — from conceptual design to facility commissioning. Rendering of professional developer services in the Ukrainian construction market along the lines of residential and commercial real estate. Integrated step-by-step project development with due regard for all the external factors in real time. We employ classical and unconventional approaches, and also implement innovations intensively into all scopes of activity. Transparency, client-centeredness, flexibility, responsibility, efficiency, mobility, and focus on innovation. Along with creating projects of our own successfully, we are ready to develop new common ones as well! 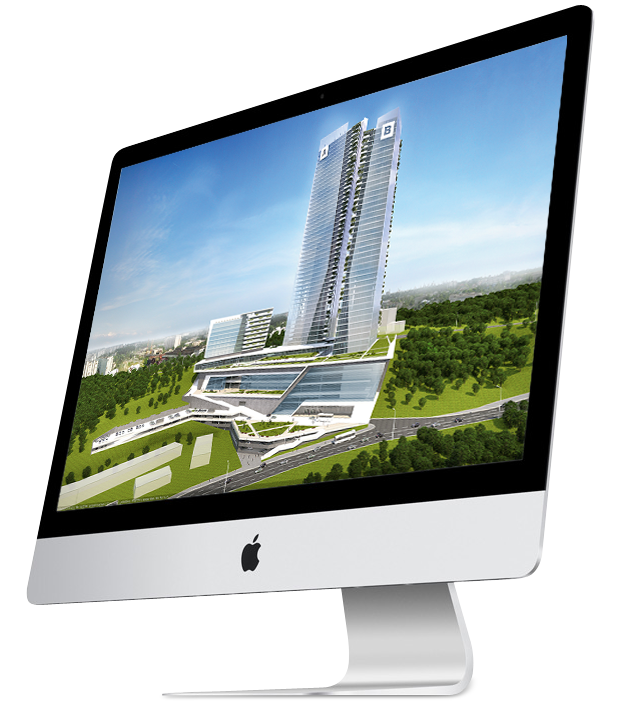 Ergonomic layouts, high-quality materials, full set of documents, payment by installments. You can obtain detailed information at the sales department. From rendering help with challenging issues to comprehensive turn-key project implementation! When your intention bumps into insuperable difficulties — rely on genuine professionals. This will save your nerves, time and money. Try cooperating with us, and you will not regret it! A concept is the formula of the project’s success. One would think that it’s only an idea, and there are thousands of those. But it’s not so in our case! Our concepts are not just flashes of imagination. They are based on many years’ experience, acute feeling of the construction market’s reality, and on the modern trends. When creating a concept, we support it with analytics and substantiate it with economic calculation. Paper doesn’t blush, and concrete costs money! Designing is about creating the maximally precise model of the future facility. Based upon the customer’s wishes and upon the agreed concept, we develop all the stages of the project, and employ the best subject matter specialists in Ukraine to do the work. Each stage is controlled by us with respect to compliance with the business model and the construction standards. Each grain needs its own soil. A land plot is one of the key attributes for a development project. If you don’t have a land plot, we’ll find the best variant. If you have a land plot but its designated purpose does not correspond to the goals in view — we’ll do everything to solve the problem as quickly as possible. 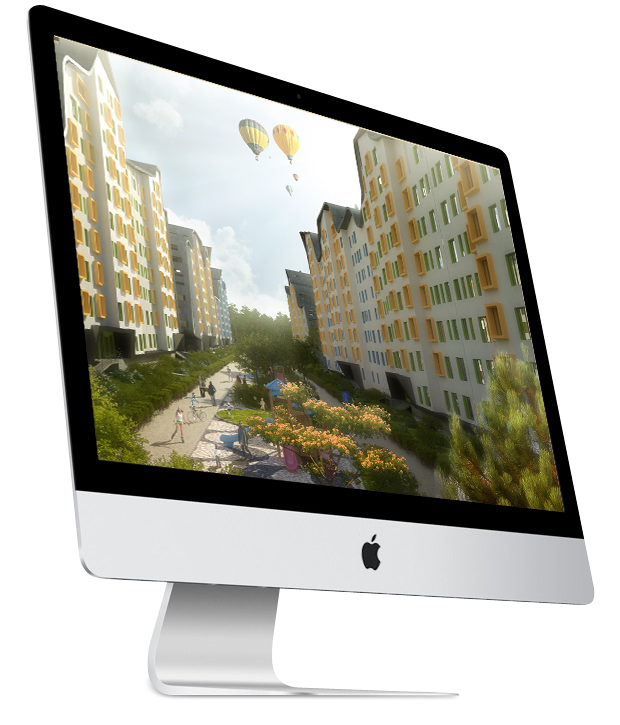 Land is an asset, and we’ll help you to achieve the best results in its utilization. Implementation of any project requires finances. Depending on its scale and complexity, we select the optimal financing scheme and perform the economic activity. Investing into real estate can be done either by individuals or companies, or by state organizations and funds. Our business models are transparent and profitable. We know how to make money work! Construction is the most complicated and resource-intensive process in creating a piece of real estate. When we start erecting the facility, we know it very well what materials we are going to buy, and what their price is. Only proven certified contractors are employed for the construction and installation works. We control the quality, and provide field supervision. Buying is easy even for a child. Selling can be difficult even for an old man. Sales is the final stage that determines the commercial success of the project. It can be started at the early stages, or after commissioning. Knowing the latest analytics and watching the real estate market, we select the optimal sales technologies for making the greatest profit in the shortest time possible. Generate ideas, create concepts, feel the market and organize all the stages of construction process. We love our work, and put 100% effort into it. We select the key ingredients carefully! After bringing the 3 key resources together, we start developing the project. Here you can see selected projects at various stages of completion. If you want to know more, come to visit us! 'Apartment House No.1' – this is totally new housing in Borispol and the best way of investing money into real estate. 'Apartment House No.1' is a contemporary multisectional apartment house erected by cast-in-place concrete frame construction technology, with high-quality ergonomical layouts of the apartments and the possibility of making up a modern open-space interior. The first floor will contain commercial premises: a supermarket, a restaurant, a pharmacy, and so on. From the second to the eighth floor there will be one-room, two-room and three-room apartments with an area of 37 to 71 m². The nineth and tenth floors will have duplex apartments with great views (from two to seven rooms), with a total area of 80 to 142 m². The RC 'Pervotsvet' in the town of Borispol - this is comfortable and really affordable housing in Kiev Region. The residential complex's design calls for erection of one 9-floor and two 10-floor houses with 550 apartments each. Most layouts provide for the most demanded one- and two-room apartments. To offer our clients the widest range of choice and to meet any purchaser's requirements, there are three-room apartments in the 2nd and 3rd construction stages. 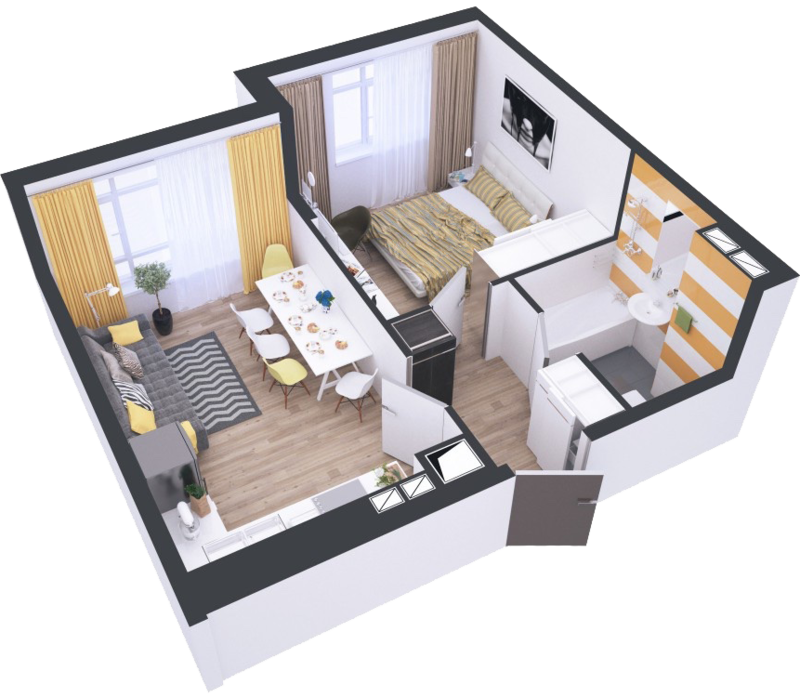 Another innovation is duplex apartments, with an area of 74 m² to 138 m², and with 2 to 5 rooms. The residential complex's concept calls for erection of two 23-floor apartment houses connected with the common 3-floor stylobation part, with a 2-level underground parking structure. On the first floors, commercial premises with separate entrances from the street have been designed, which will accommodate social and recreational facilities, institutions and service businesses. The most part of the commercial premises will be occupied by a fitness club with swimming pools and a SPA area. Some commercial premises in the residential complex have exits to the accessible roof of the stylobation part between the two buildings where a terrace with vegetation and leisure areas has been made. The residential complex's concept has been developed in compliance with all applicable requirements to a comfortable living environment for an urban inhabitant. In accordance with the design, fifteen 9-floor apartment houses with an area of 174,000 sq.m and a parking structure with 807 car-places will be erected on the land plot of 12 ha, making up a fully enclosed city block. The design of all the houses provides for one-, two- and three-room apartments with a possibility of architectural replanning according to the owners' requirements. There will be commercial premises will separate entrances located in the first floors of the houses along the primary drive of the complex and intended for cultural and social infrastructure facilities. The main idea of the project is to create a unique, modern and comfortable office complex with a total area of 240,000 m², which will comply with the highest international standards and will become an iconic building in Kiev. The concept provides for accommodation of all the necessary functions and services in one complex: Class A and Class B office spaces, a conference hall, an exhibition center, a 250-room hotel, apartments, banks, restaurants and cafes, a fitness center, sales premises and multi-level parking structures with 1500 car-places – this all makes staying in the complex quite comfortable. The site for construction has been selected with regard to the development of the business district, and has all the necessary advantages for the concept to be implemented: proximity to the city center, convenient transport connection with all the parts of the city and with the main infrastructure facilities (airport, railway station), propinquity to the main government institutions. The territory adjacent to the business center will contain a recreational area, which provides a comfortable environment for successful business activities. The concept provides for erection of a polyfunctional building intended for administrative and office purposes, and also for residential purposes. Based on the underground two-level parking structure, the 6-storeyed stylobation part merges into residential high-rise housing, with the highest point of 25 floors. The administrative-commercial infrastructure includes a bank department, a fitness center, a supermarket, stores and cafes. The total number of apartments is 280, from one-room to four-room ones, and also duplex apartments in the top floors. The underground parking is ready to accommodate 271 cars. The The architectural solution combines elements of historical heritage and modern methods of form making. The multifunctional content of the building allows for creating an authentic recognizable design and to comply with all the construction regulations at the same time. A special addition to the building's architectural appearance should become the accessible roof at the level of the 7th floor's roof, designed as an open-air recreational area with elements of landscape design and large plots of green planting. The residential complex's concept in the Frankovsky District of Lvov has been designed with compliance with all the requirements to the quality of life in the contemporary world. The project provides for erection of nine 9-floor apartment houses and a 3-floor surface-mounted parking, which make up a semi-enclosed city block. According to the design, all the buildings will contain one-, two- and three-room apartments with large spacing of the bearing structures allowing for variant design in accordance with the owners' requirements. Commercial premises with separate entries will be located along the front facade of the complex and intended for cultural and social infrastructure facilities. A qualitative distinction of the residential complex is the spaceous territory of the enclosed-type inner court, the beautification of which means landscape design with a great deeal of vegetation. The territory with prohibition of vehicular entrance will contain leisure areas, children's playgrounds, sports grounds and household grounds. Our inventions, achievements, news and facts. Our project “Apartment House No.1” is beautiful any weather! Since the beginning of winter is gray and cold, we really appreciate the light in the windows of our homes and the warmth of family comfort. This picture is a vision of nearest future in which “Apartment House No.1” celebrates the housewarming and joys city with its beauty! That is how we see it in a year. The GREENRISE KIDS kindergarten opened in our RC ‘Pervotsvet’! Just a few months and we made it! Thanks to the cooperation with GreenRise Kids team and the efforts of “PTB” company, our general contractor, a unique modern kindergarten appeared in Borispol. Present to Boryspil for the 25th anniversary of Independence of Ukraine! We gladly accepted the offer made by the city authorities and became the main sponsor in the implementation of a unique project - the historical sculpture in the town square. A monument to Vladimir Monomakh and decorative waterfall were launched! Awarding of the ukrainian contest winners! We are sincerely grateful to all the participants for their interest and submitted works. Contest ended and we are proud to announce the winners! COMPETITION FOR YOUNG AND TALENTED ARCHITECTS! to find talented and creative architects who would create residential construction concepts with a design organization. This is the last photo report of this year showing the construction progress: the materials have been purchased, and the schedule is maintained. And remember, friends: we'll be constructing your dream while you relax! Thanks to everyone who has shared this joy with us. Despite the weather, the celebration was a great success! We are sincerely grateful to you for your trust, involvement and support during the work at this project, which was a significant one for us all. A snug stand, a freshly planted lawn , white cedars, junipers, and flowers, treats for adults and children, and pleasant music! It was a sunny day, and the celebration was a success. Would you like to live in a country house? 88 m² - it is the area of this 3-room apartment in Apartment House No.1 located in Borispol. It's more than just an apartment but a real cozy house near Киевом. Our efforts at creating the landscape design and selecting the plants were not in vain! The sunny summer pleases the senses with a revel of color and of flowering plant fragrances! Welcome to 'Pervotsvet'! One of the most popular independent blogs about real estate, “Where It’s Nice To Live In Kiev”, has published an article about the RC “Pervotsvet”. We are thankful for the objectivity and the favorable review.